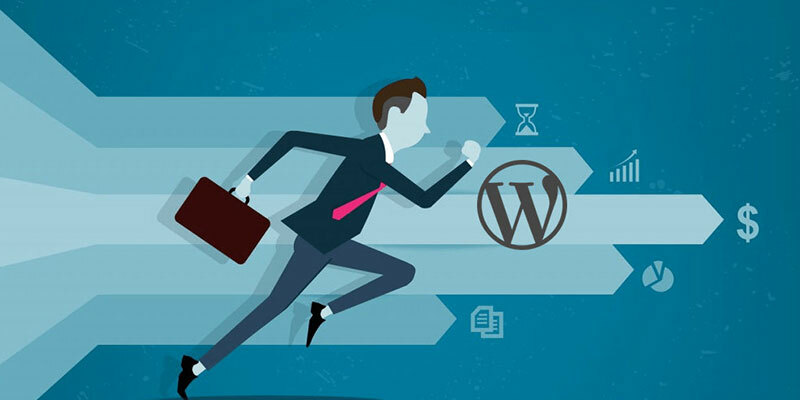 Wordpress Optimization Services - Vicky Verma provides top Wordpress Optimization Services in Pune with 7+ experience in Wordpress Speed Optimization field. Our speed optimization services include Minifying HTML, CSS and JS code, Optimizing images, plugins, using effective caching techniques, optimizing pages for reducing loading time etc.We assure you that your website will be highly optimized with minimum loading time, feel free to contact us for any type of website optimization services in pune. My biggest motto is Customer satisfaction and Quality product. What is WordPress Website Optimization? Nowadays website speed is crucial for the Google algorithm and for better search ranking. Users, visitors and readers expect a level of professionalism that entails that a website loads fast. All WordPress Optimization Company all over the globe rely heavily on Google to drive our customer base and this is exactly why getting top google ranking is on everyone’s mind. WordPress Optimization is the process of improving the visibility of a website on organic or natural search engine result pages by incorporating search engine friendly elements into a website. We are group of people and we always keep in mind that website is for users and not for the search engines so we optimize the page without disturbing the actual content. Example of this includes using meta description, meta tags, heading tag, alt tag and internal linking strategy. In off-page optimization we strongly focusing on building links to the website from external sources. Why use WordPress Optimization Services? Every-one want to keep their website optimized to reduce the loading time. WordPress optimization services helps you to load pages very faster & improve user experience which ultimately increase your page views, and help you with your WordPress SEO. Most important a slow website means users will potentially leave your website before it even loads. According to a case study about the speed optimization that involved Amazon, Google, and other larger sites, a 1 second delay in page load time can lead to 7% loss in conversions, 11% fewer page views, and 16% decrease in customer satisfaction. Using WordPress Optimization services we can increase the time visitors spend on your website. Using WordPress Optimization services we can increase your revenue. Using WordPress Website Optimization services we can increase search ranking on Google search listing. Using WordPress Website Optimization services we can improve your conversion rates. Improving a site’s page loading time. Delivering the site content to user very faster. Who should use WordPress Speed Optimization Services? Why choose my WordPress Speed Optimization services? We provide top WordPress Speed Optimization services to speed up your website and response time at profitable price. We mainly focus on high quality of work in time to our clients and exact to their requirement which can be reflected from their feedback to us. We have Expert WordPress Speed Optimization services team and can answer to all of your WordPress optimization requirement. FAQ for WordPress Speed Optimization? Why do I need WordPress Speed Optimization? Generally, the loading time of your website decides the quality of your website, minimum is the loading time, we get more number of visitors on daily basis which improves our score on Google index that’s the reason we need website optimization services. Why Website Optimization services Important? To Improve the search engine rank we need to optimize website pages, it helps to improve the ranking on google index. No worries our team will always be available for your service & for optimizing your website no matter how many websites you have.